Today is my big day I turn the Big “50” today. I decided to make my own cake with all the flavors I love chocolate, more chocolate and marshmallow. I searched my Pinterest pins and found a dark chocolate cake with coffee which only brings the chocolate flavor in the cake to the next level. Since I love chocolate I had to use a chocolate buttercream as the frosting. 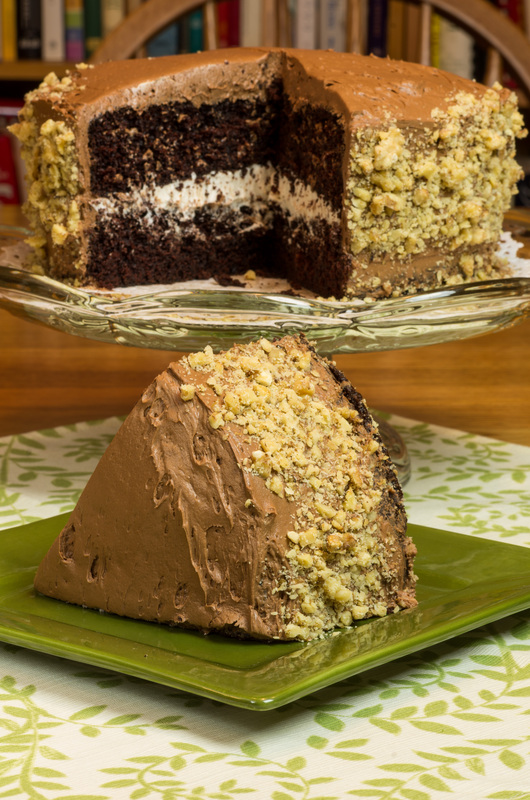 To make it all come together a marshmallow filling layered between the two chocolate cakes. Did I tell you I love chocolate? Heat oven to 350°F. Grease and flour two 9-inch round baking pans. Set aside. In the bowl of a stand mixer fitted with the whisk attachment or in a large bowl with an electric mixer, combine the sugar, flour, cocoa, baking soda, baking powder. Mix on low until dry ingredients are thoroughly combined. Add eggs, buttermilk, coffee, oil and vanilla. Beat on medium speed for about two minutes; the batter will be thin. Pour batter evenly into prepared pans. Bake in preheated oven for 30 to 35 minutes for round pans or until wooden toothpick inserted in center comes out clean. Cool 10 minutes; remove from pans to wire racks. Cool completely. Frost as desired. I used a simple and delicious Chocolate Buttercream Frosting recipe below from Savory Sweet Life. 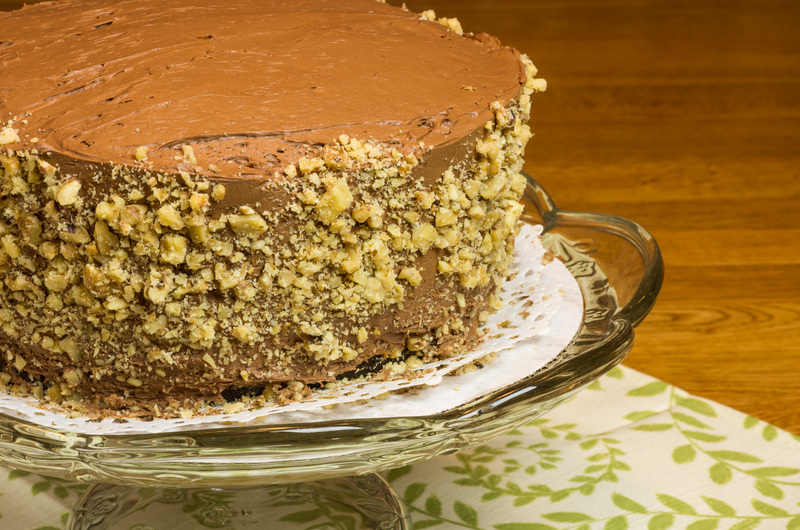 One batch was perfect for this layered chocolate cake. 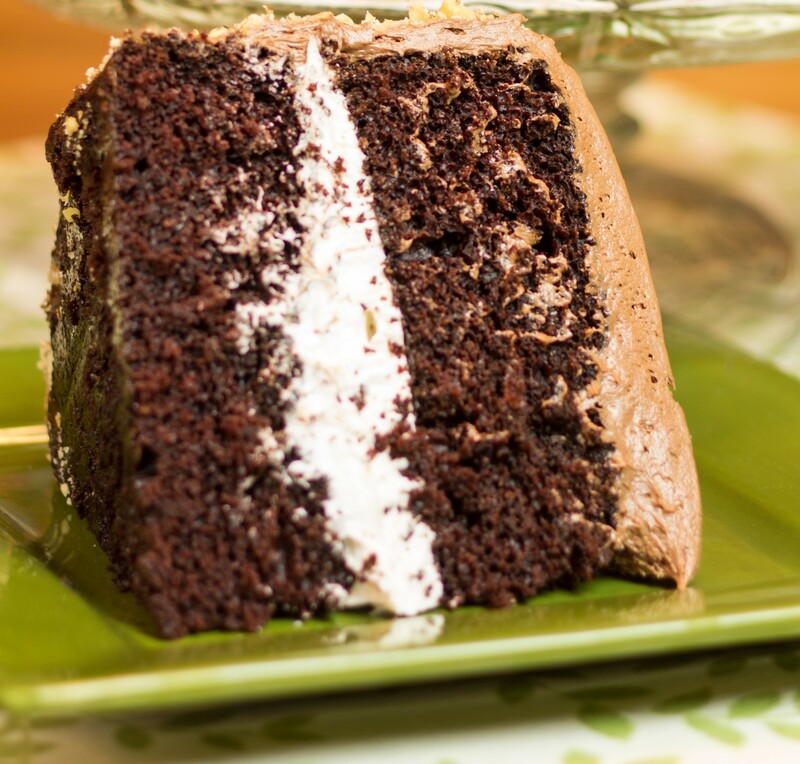 Chocolate cake recipe from My Baking Addiction. Beat together shortening, butter, salt, vanilla extract, and powdered sugar until fluffy. Beat in corn syrup a bit at a time until blended. Beat in marshmallow creme just until blended. Recipe from Little Indiana.